New for 2018, boxes of 12! Our popular Mince Pies are back, and this time there’s the option to order in boxes of 12, for those brands targeting a smaller section of clients. 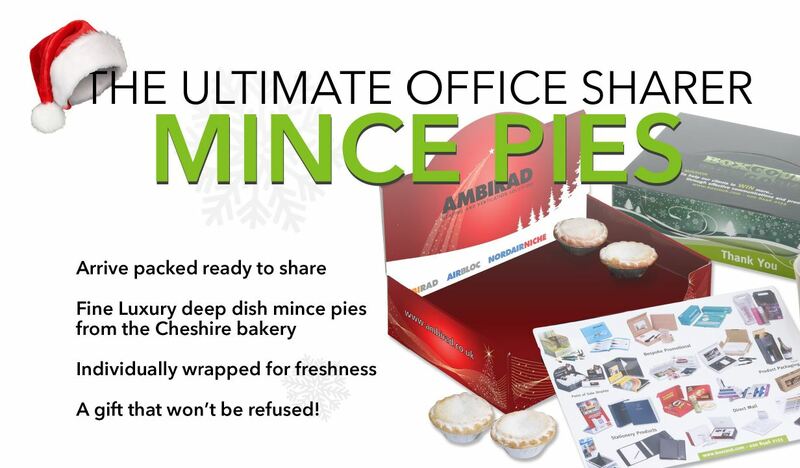 Branded as before, with your company details, these branded boxes of Mince Pies are the Ultimate Office Sharer, and a sure recipe for getting your name talked about by happy and satisfied clients. Put a mark in the sand, or snow(! ), and secure yours now for Christmas 2018.